DHL has launched a new premium USPS Workshare delivery service level, DHL SmartMail Parcel Expedited Max, which offers 2- or 3-day U.S. delivery at a highly competitive price. 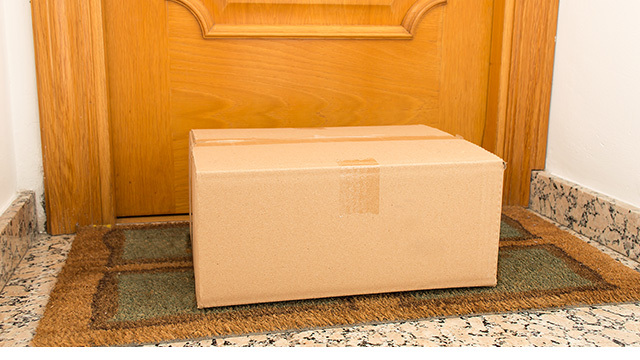 Final delivery to the doorstep is a core part of any e-commerce transaction. It is critical to the customer experience, and when it goes well it can drive customer loyalty and repeat transactions. When it goes poorly, however, it can drive consumers to shop elsewhere. So what are three elements of last-mile delivery that contribute to a good customer experience? 1. Visibility: Simply knowing where a package is in the delivery process is vital to both the merchant and the customer. Consumers want this information at their fingertips, whether it’s through a link provided at checkout or push notifications to a mobile device. Package visibility almost seems like a given for today’s e-commerce transactions, yet many retailers still don’t provide this data to their customers. 2. Speed: The tolerance of U.S. consumers to wait for a package shrinks every year. Just a few years ago, consumers would wait on average well over 5 days for a package to arrive. Today, this is no longer an acceptable standard. Big brands are pushing for 3 days or better in their delivery experience. Amazon made 2-day shipping a standard with its Amazon Prime program, and now the rest of the market is fighting to catch up. Another big problem: Speed costs money, and many retailers struggle to absorb these costs. 3. Predictability: E-commerce customers are no longer satisfied with broad delivery ranges that can span up to 8 days. They want to know the precise day their package is expected to arrive. This promise is typically offered at the time of checkout, and consumers will hold the merchant accountable. Uncertainty creates anxiety in the consumer, and simply knowing when a package is set to arrive improves satisfaction considerably. In the U.S., USPS Workshare products have been among the most effective and affordable ways to distribute goods to consumers. The Workshare program involves a third party picking up packages from the merchant, sorting them and transporting the goods deep into the postal network for final-mile delivery by the USPS. Amazon, DHL, FedEx and UPS all have USPS Workshare products, and they represent a huge chunk of the total B2C parcel market share. Unfortunately, the Workshare program is at times challenged to meet the increasingly important elements of a strong consumer experience described above. Workshare shipping products are still typically range-definite, and don’t always meet the speed and predictability expectations that customers have for some of the brands and merchants at the leading edge of the industry. Upgrading to a “premium” shipping option such as UPS Ground or FedEx Express Saver—which offer 3-day shipping and day-certain delivery—can drive up delivery costs by as much as 50-100%! DHL eCommerce – Taking Workshare to the MAX! DHL eCommerce already prides itself on driving speed into the Workshare business model with our DHL SmartMail Parcel Expedited product, which offers 2-5 day delivery. To keep pace with the changing needs of the market, however, we have launched a new premium service level called DHL SmartMail Parcel Expedited Max that offers a 2 or 3 day-definite delivery to the vast majority of U.S. ZIP Codes. This type of speed and predictability is not typically seen with Workshare products, and Expedited Max is able to deliver that level of performance at a much more affordable price than premium alternatives. Our new service level strikes a balance between speed, predictability and cost that will be a differentiator in the market. This is Workshare on steroids, and DHL eCommerce is proud to be at the leading edge of the industry! To learn more about DHL eCommerce and our shipping and fulfillment solutions, visit http://www.dhl-usa.com/ecommerce.